SYNOPSIS: When Brittany Ellis walks into chemistry class on the first day of senior year, she has no clue that her carefully created “perfect” life is about to unravel before her eyes. She’s forced to be lab partners with Alex Fuentes, a gang member from the other side of town, and he is about to threaten everything she’s worked so hard for—her flawless reputation, her relationship with her boyfriend, and the secret that her home life is anything but perfect. Alex is a bad boy and he knows it. So when he makes a bet with his friends to lure Brittany into his life, he thinks nothing of it. But soon Alex realizes Brittany is a real person with real problems, and suddenly the bet he made in arrogance turns into something much more. True enough, I was right. The storyline is so formulaic I thought twice about finishing it at first. BUT I’M GLAD I DID! The story may have been predictable early on but Simone Elkeles wrote with such creativity that I was able to look past all the clichés. Shelley, Brit’s sister who has cerebral palsy - she’s such a delight to picture, always happy whenever Brittany’s around and always beating Alex at checkers. Brit’s extremely unreasonable mother - she’s so uptight you’d wish Shelley would pull her hair out instead. Other minor characters were so typical I won’t even discuss them. The part that made me totally ignore all the clichés I’ve been blabbing about from the beginning: how Brittany found out about the bet. Now we all know the usual way is she’ll find out about it from someone else and when she confronts the guy he’ll be all, I’m sorry! At first it was just about the bet but then I fell in love with you yada yada yada. Then they’ll break up. But in Perfect Chemistry, Alex told her the whole truth himself, and even had his friends confirm it to her. I spoiled it for everyone since we all know she’s bound to find out anyway. And this is me nitpicking: I found that the book lacked vivid physical descriptions of the characters. I had trouble picturing a hot gangster Latino and a beautiful blonde who doesn’t look pasty. Or maybe it’s just my inability to appreciate blondes and the stereotypical gangster Latinos I’m used to. Or maybe it’s the people on the book cover that messed with my imagination. Maybe. Definitely the people on the cover. Side note: DON’T PICK BOOKS WITH PEOPLE ON THE COVER. Kidding. The winning factor for me is how Elkeles was able to provide an image of how Brittany and Alex’s relationship continued by writing about it briefly in the end, and in the epilogue. I easily get disappointed whenever a writer would make characters discuss a future together only to leave her audience hanging. It’s just this pathetic thing I go through whenever I finish reading a love story - I need to know what else happened to them after the The End in the last chapter. Some sort of follow through is necessary, and Simone Elkeles delivered excellently. The book may be filled with cliché but the details will make you fall in love with the story and the characters (including the minor ones). She’s a good enough writer, technique-wise. It lacks vivid physical descriptions but I guess that’s just me. 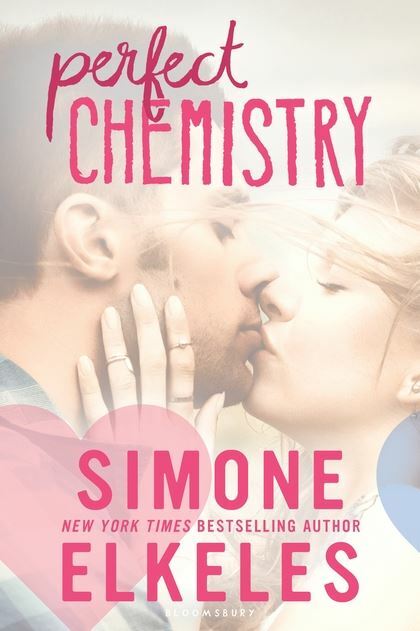 After reading the summary of Perfect Chemistry on Goodreads I also got the impression that this was a book built on clishés and I was therefore very undecided whether I wanted to read the book or not.